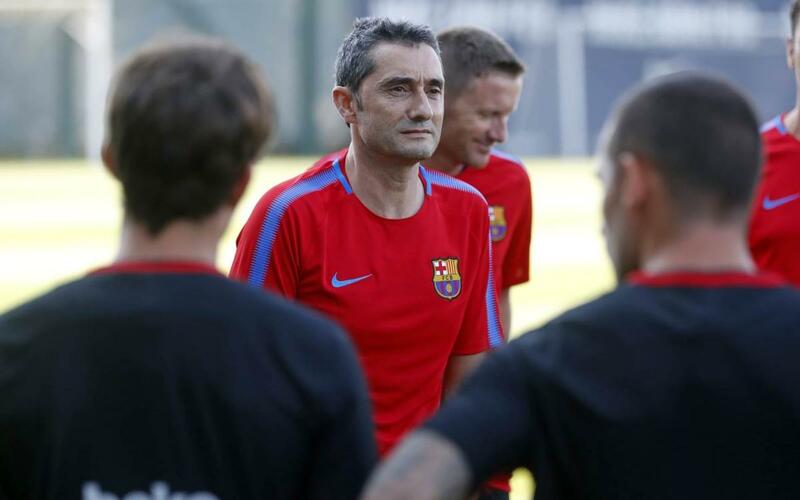 The first day back at work at the Ciutat Esportiva. After a morning of medicals, the players made their way onto the Tito Vilanova pitch this afternoon as their summer holidays came to an end. The first training session of the 2017/18 season also gave Ernesto Valverde the chance to meet his players. The coaching team, who started back on Tuesday, worked with the available first team squad and five Barça B players in Ortolá, Aleñá, Cucurella, Palencia and the new signingVitinho. Gerard Deulofeu, who played for Spain in the Under-21 European Championship in Poland was at the Ciutat Esportiva Joan Gamper for some treatment on his right leg.